Aiken's oldest and largest Independent Insurance Agency, Hutson-Etherredge Companies, was founded in 1876 by John C. Hutson (1855-1929), as the John C. Hutson Agency. Mr. Hutson would travel to Ellenton, SC by horse and buggy to get on a train and go as far away as Yemassee, SC, stopping at various small towns along the way to conduct business. In these times, there were no published insurance rates and Mr. Hutson would map the property, sketch the buildings, and use a rate he developed (according to the construction and exposure) to issue contracts of insurance. 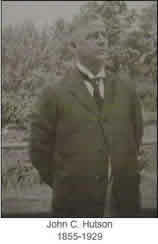 Mr. J. W. Ashhurst, another prominent Aiken insurance agent, formed a partnership with Mr. Hutson and became Hutson & Company. This partnership dissolved in 1889, and Mr. Ashhurst formed the J. W. Ashhurst Agency. The two firms competed, however, nearly 100 years later, the two would merge. After the turn of the Century, Mr. Hutson's son, Osma Bacot Hutson (1885-1942) joined the business and the firm became the John C. & O. B. Hutson Agency. After John C. Hutson's death in 1929, the firm became the O. B. Hutson Agency. 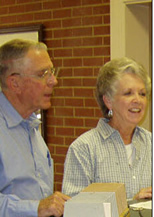 The Hutson family were outstanding citizens and contributed much to Aiken and the community. In November, 1941, Cecil M. Etherredge (1904-1974), a former banker, and life insurance agent formed a partnership with Osma B. Hutson which became Hutson-Etherredge Agency. After Osma B. Hutson's death in 1942, Mr. Etherredge became the sole owner. At this time, the firm was involved in insurance, real estate, and loans. 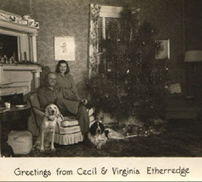 Mr. Etherredge and his wife, Virginia H. Etherredge, were both involved with local charities and business organizations. 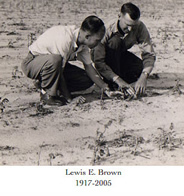 Lewis E. Brown (1917-2005), who had previously worked in the Bank of Aiken, returned from service in World War II and began working for Mr. Etherredge on October 1, 1945. Mr. Brown secured an interest in the business several years later and worked primarily in the insurance department while Mr. Etherredge dealt mainly in real estate and loans. 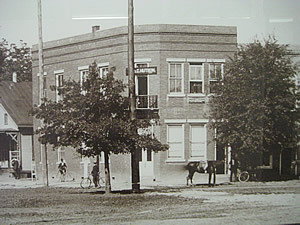 At this time, the office was located in the Farmers and Merchants Bank building located at the corner of Laurens Street and Park Avenue. The agency became a corporation, Hutson-Etherredge Agency, on December 20, 1952. 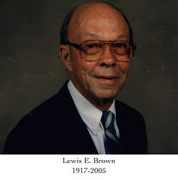 Mr. Brown, a native of Aiken, served on Aiken City Council and was Mayor Pro Tem for many years. He served on many committees for both the City of Aiken and University of South Carolina Aiken. In 1958, the business had grown to the extent that a new location was needed. 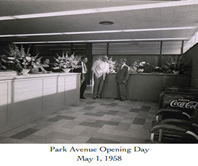 On May 1, 1958, the office was moved to its current location, 129 Park Avenue, SW, Aiken, SC. Over the next decade, several agencies were purchased and on March 1, 1971, Ferrell L. Holley, Jr. was hired to help with transfer of business from the Williams-Younts Agency. The following year Rickie K. Thornton joined the firm. 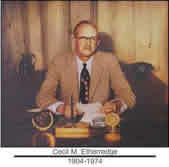 After Mr. Etherredge's death in 1974, the corporation was purchased by Mr. Brown. The agency and corporation became known as Hutson-Etherredge-Brown. At the death of Mrs. Virginia Etherredge, in 1977, the Etherredge's entire estate was bequeathed to the University of South Carolina Aiken and used toward the construction of The Etherredge Center, a center for the arts. In 1980, the Prudence Agency was purchased and at that time, David L. Derrick (1941-1996) joined the firm. In 1982, negotiations began with the owners of the Ashhurst Agency, formerly the J. W. Ashhurst Agency. The Ashhurst Agency combined with Hutson-Etherredge-Brown on January 23, 1983. The owners, John R. Thomas and Daniel P. Bacot, joined the combined firms. On December 21, 1988, the Corporation was purchased by Ferrell L. Holley, Jr., Rickie K. Thornton, and David L. Derrick. Mr. Derrick left the firm in 1992 and Mr.'s Holley and Thornton purchased his stock. Since that time Mr. Holley has served as President/Treasurer and Mr. Thornton as Vice President/Secretary. In 1995, Hutson-Etherredge-Brown-Ashhurst merged with Lyon-Croft-Weeks & Hunter to become the largest Independent Agency in the CSRA and one of the largest in the State. The firm became known as Hutson-Etherredge-Brown-Ashhurst-Lyon-Croft-Weeks & Hunter. Joining the firm at the time of the merger were the Lyon-Croft-Weeks & Hunter employees and their President, Harry O. (Spooky) Weeks, Jr.
Lyon-Croft-Weeks & Hunter was founded in 1932 by Mary Croft Lyon and her sister, Ella Croft. Both were pioneer Aiken businesswomen. 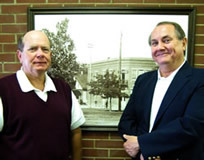 T. Clifton Weeks and H. Odell Weeks purchased the firm in 1958. H. Odell Weeks was the mayor of Aiken for 40 years before his death in 1992. Lyon-Croft-Weeks had merged with Mr. John M. Hunter's Aiken Insurance Agency and he served with the firm until his retirement in 1985. Our name had become unmanageable and in 1996, we became known as Hutson-Etherredge Companies. Hutson-Etherredge Companies continued to grow with the purchase of the Seigler's Insurance Agency on March 1, 1997. Seigler's Agency had been operated by Broadus Seigler since 1961. Broadus' son, Wynn Seigler, joined Hutson-Etherredge Companies at the time of the purchase and worked at the agency for a number of years. We now look forward to the Twenty-First Century and all of the challenges that come with it. Our commitment to customer and community is as strong as ever. Our experienced staff are anxious to serve your insurance needs with a combination of old fashioned courtesy and the latest in computerized technology.